Proving ONE thing gets you VA Individual Unemployability. Here’s the myth I want to tackle today: to get VA Individual Unemployability benefits, some folks say you have to already have a service connected disability – or multiple service connected conditions – rated at certain percents to qualify for TDIU. Now, to be clear, we are talking about 100% TDIU ratings here – this is not the same as a schedular 100% rating. Same amount of money, but totally different veterans benefits. There are several different paths to a 100% rating – read about them here. Here’s how it works, generally. If you have difficulty keeping and maintaining substantially gainful employment because of a service connected condition or multiple VA disabilities, you are eligible for VA individual unemployability. That phrase, “substantially gainful employment,” means something very different than most folks think, including VA raters. And I’ll teach you about what it means elsewhere on the Veterans Law Blog®. Once you file a claim, if you meet the eligibility requirements for VA individual unemployability, the Department of Veterans Affairs will pay you benefits as if you were 100% disabled. Sounds easy, doesn’t it? This is where we are going to tackle that myth: what does a single or combined disability rating need to be for you to be “eligible” for VA individual unemployability? The myth about VA individual unemployability. Most folks tell you that you have to have a single disability rated at 60%, or multiple disabilities with a total rating of 70% (with one being at least 40%) to qualify for VA individual unemployability. This form of VA individual unemployability is known as Schedular TDIU – and it is covered by VA regulation 38 C.F.R. §4.16(a). But there are two problems with this common perception. First, there are all sorts of rules about what constitutes a “single disability rated at 60%.” Can they be multiple disabilities from the same service-connected event? If so, do you add the ratings or combine them? What about disabilities affecting the same body function or paired body parts – can that be a “single disability?” We will answer those questions elsewhere – for now, I am trying to make a different point. Here it is, in a nutshell. The reality of VA individual unemployability. You can be rated at 10% for a single disability, or 90% for multiple disabilities – it does not matter. A disabled veteran is still eligible for VA individual unemployability regardless what his disabilities are or are not rated at. Your service connected disability prevent you from getting and keeping substantially gainful activity. Sound familiar? The proof of schedular VA individual unemployability and the proof of extra-schedular VA individual unemployability are EXACTLY the same. There’s only one difference between the two ways to prove TDIU entitlement: WHO decides your claim. The VA rater in a VA regional office has authority to decide claims for schedular TDIU. Claims for extraschedular TDIU go to a different VA office – the Director of Compensation and Benefits. 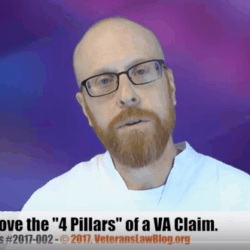 If you make a claim for extraschedular TDIU – unemployable with ANY VA disability rating – your VA claim will take a bit longer because it has to be approved by one of the VA’s top executives. That VA top executive, the VA Compensation and Pension Director, almost always makes the same mistake every single time. He, or she, confuses extraschedular TDIU with extraschedular disability ratings – those are two completely different concepts with two completely different standards. What is the implication for you, the disabled veteran, trying to get VA TDIU benefits? Strategy 1: file new claims and claims for increased ratings of service connected conditions until you meet the 60-70-40 requirement. The success of this strategy depends on time and the strength of your medical evidence for those new and increased disabilities. Strategy 2: request extraschedular TDIU, and have the C&P Director decide whether you are entitled to VA individual unemployability benefits. The success of this strategy depends on your patience (how long you are willing to wait on a VA top executive to get around to your claim) and the strength of your lay and medical evidence of unemployability. Do you see the difference? Either way takes time. A lot of time. So time should NOT be a factor in your decision. If you have stronger evidence of a new or increased disability that will get you to that 60-70-40 mark, you will want to go that route, because it’s a little easier to convince a VA rater that you are unemployable than it is to convince the VA C&P director of the same thing. If you have stronger evidence of unemployability than you do of increased ratings (or your increased ratings evidence cant get you to the 60-70-40 level), it may be better to go the extra-schedular disability route, because it will be easier to convince the VA C&P director of unemployability than it will be to get a higher VA disability rating from the VA regional office. To make a better decision, let’s see that mistake in action. The VA C&P Director’s most common TDIU mistake. In 2013, a single judge decision silently slipped out of the Court of Appeals for Veterans Claims. Now single judge decisions are not “binding precedent,’ so they aren’t “official” law, but they are a good sign of the direction the Court might head on a particular issue. This particular 2013 case – the Bennet case – the Court addressed the standard that would apply when a disabled veteran sought VA unemployability on an extraschedular basis. In a nutshell, the Veteran claimed entitlement to TDIU because of the severity of his back pain. If you read the CAVC judge’s decision in this appeal, you will see that it was pretty bad. Problem is, even though he argued that his back disability prevents his ability to get and keep substantially gainful employment, the most the VA would give him was a 40% rating for his back and a 10% rating for its secondary impact on his leg. First they found that there was no objective medical records showing sustained treatment. That’s basically like saying that a baseball player didn’t hit a home run because the newspaper didn’t report it. It’s nonsense, and if the BVA says that in your VA claim, you should contact a lawyer that handles appeals to the CAVC. The problem is, neither of those two things have (in my grandmother’s words) a dingle-dangle thing to do with VA individual unemployability. They are sort of the standard for a completely different benefit, called an extraschedular VA disability rating under 38 C.F.R. §3.321(b), which I write about here. He or she is unable to get or keep substantially gainful activity due to a service-connected injury. You DO need to prove that you can’t get or keep substantially gainful employment due to a disability related to your military service. that your disability presents an exceptional disability picture. If the BVA denies you extraschedular TDIU using any one of the reasons listed above, please get in touch with a lawyer that has experience getting these kinds of decisions reversed or vacated by the Veterans Court. Use of this content without the express and written consent of Chris Attig and the Veterans Law Blog® is forbidden.